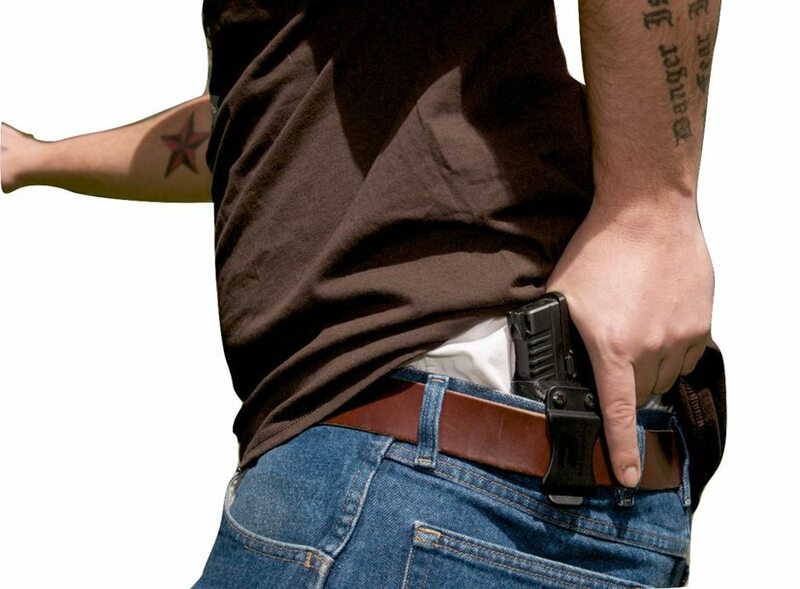 Our Rigid Concealed Carry Holsters with Slide Shield (known as the The Protector Plus Rigid Concealed Holster) are designed to provide your weapon with optimal protection. Our IWB (Inside Waist Band) Holsters utilize set screws that allow for adjustment of the retention to which your handgun is held, reducing the risk of your handgun falling out and even possibly being damaged. Because of this retention system you don’t have to worry about unhooking thumb snaps when you draw. Besides our adjustable cant clip which is a key feature of our holsters. 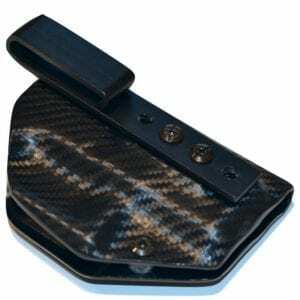 Another key feature of our Concealed Carry Holster is the fact that we use ONLY .08 thick Carbon Fiber Material. This gives you a durable and excellent looking product. In addition, it can also be custom built for cross draw concealed carry. 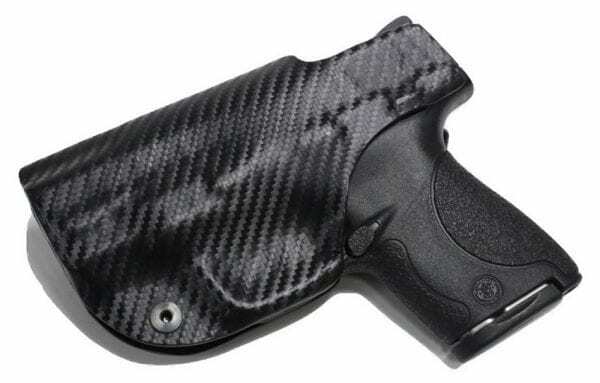 The design feature of having a slide shield on the Protector Plus Rigid Concealed Holster allows for protection of your gun slide from sweat and also adds for ease of re-holstering your handgun. Alternatively, if you are looking for a simple Rigid IWB Holster with no Slide Shield then check out The Protector Holster. All of our concealed holsters come with the Lifetime Warranty Seal of Approval. So, unless you run over it with a truck, know that your concealed carry holster is as protected as you are. 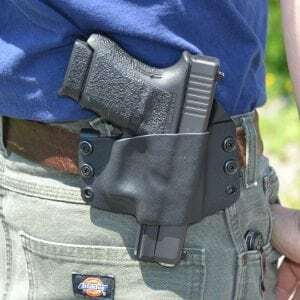 Whether you are looking for our Hybrid Holster or something more simple, the Protector Plus Rigid Concealed Holster might just fit your needs. 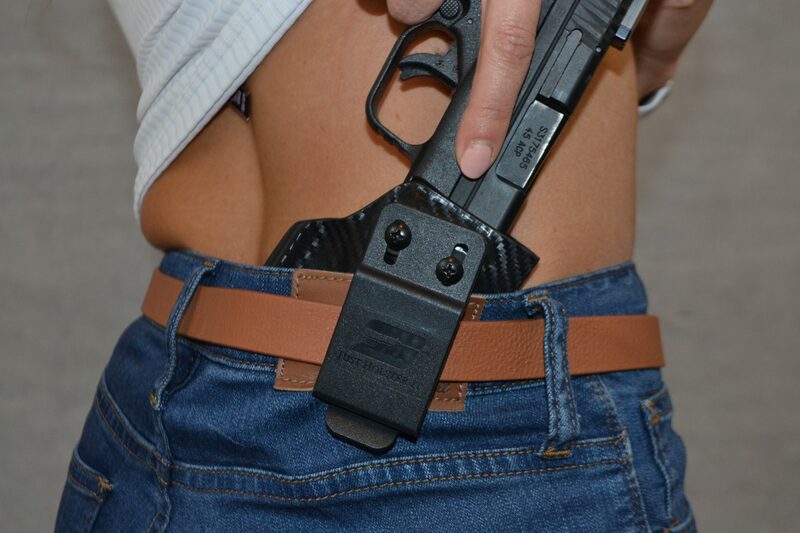 The Protector Plus Rigid Concealed Carry Holster can also be worn on the outside. Simply order the opposite draw hand. If you are right handed you can order a left hand holster for right hand OWB.